Immerse yourself in extraordinary new worlds, put yourself at the center of an incredible gaming universe and experience a new way to play with PlayStation VR! See hyper-real 3D environments come to life with a custom OLED screen. Whichever way you turn the 360 degree immersion of PS VR makes you part of a living, breathing world with a seamless field of view. Smooth visuals and super low latency combine to create an incredibly immersive gaming world. 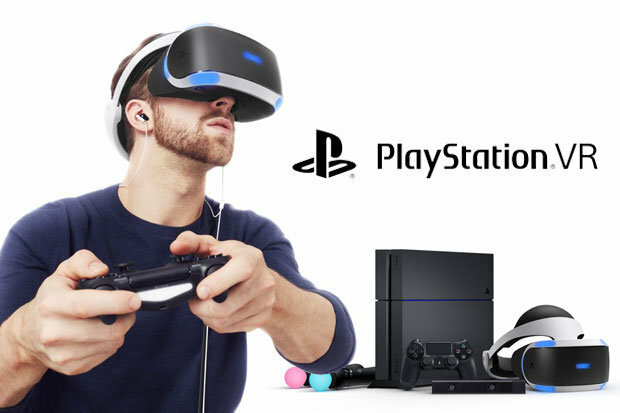 With dual lenses and 3D depth sensors, the PlayStation Camera tracks the position of the headset, PlayStation Move controller and DUALSHOCK 4 light bar wherever you are, ensuring you’re always at the centre of your VR gaming universe. Nine LEDs positioned on the front, back and sides of the PS VR headset are tracked by the PlayStation Camera – ensuring pinpoint accuracy within the game world, wherever you are in the room. You can project your PS VR experiences directly to your TV screen with Mirror mode, letting others see what you’re seeing and giving them a window into your virtual world. Let your friends join your games with Separate mode and display a different view of the action on a TV screen as a second player experience. You can also view your 360-degree videos and photos via the PS4 media player; insert a USB stick to your PS4 loaded with your chosen 360-degree media. Select ‘VR mode’ from the Media Player options and put yourself in the center of your own images and movies. SWON's PS4 & VR comes with several games included. Feel free to also use your own VR games and/or media as well! Also included with all SWON Tech to Lend are online resources, including links to 360 videos, instructions & curriculum, which can be found through Google Drive here.